This Are you my mother centerpiece decoration is the Perfect way to bring your Storybook theme together for your party! 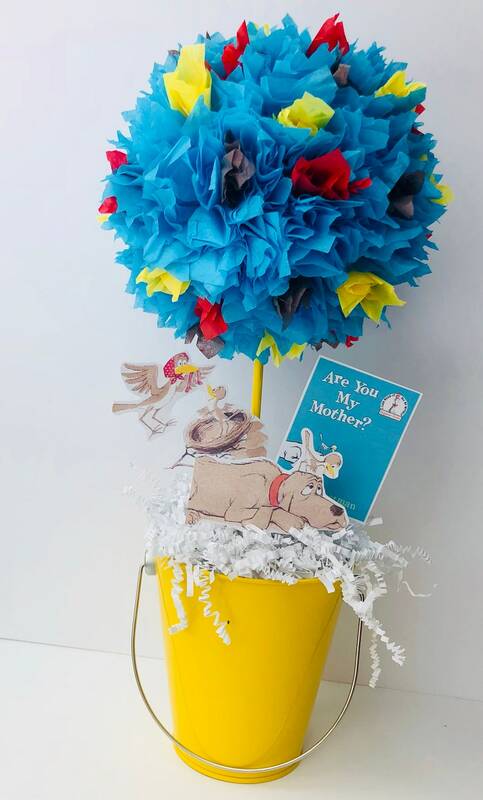 You will get 1 Are you my mother themed topiary decoration centerpiece with base and cutouts on stick done in traditional Book colors with the Dog and bird cutout, the mother bird and baby bird cutout and the book front cutouts! This Are you my mother centerpiece measures approx. 12-14" in height! The cutouts are approx 3-6” the tissue ball is 4-5” round and the bases are 4.5” high.